I lo-o-ve this sentence ! It always makes me smile and then, I realize that there is a deeper meaning. Indeed, without inner work on ourselves, we live the lives of others. That little voice that gallops in our minds and that we follow blindly, is not ours. That little voice is the echo of our past. A past that brings us back to when we were 5, 7, 10 years of age, to the turbulent times of teens ---- all genuine moments, when we were accepting the thoughts, judgments, advice, warnings, traumas, failures and fears of adults. Those adults we took for God. Those adults upon which our lives depended. It was impossible to challenge those phrases heard. Yet -- seek deeply. We all have within us a shock memory caused by disconnected attitudes or behaviors that our inner wisdom has already noticed. It is wisdom that we so quickly stifled because it put us in danger. As a child, we needed to be part of a group for survival. We learned, then, to ignore this ageless wisdom ... to follow the voice drawn by others who had our lives in their hands. This behavior continues over time and we have integrated the guidelines of our family, our group beliefs, our country customs, the laws of our society. That little voice belongs to the teacher who moved us to the bottom of the class, to our mother who punished us, to our father too much absent, to our friend who rejected us, to our brother who saved his elders advantages. And today, she still tells us how dealing with this imperfect man, with this invasive friend, with this too ambitious employee. "It is in the light of suffering that we should consider the accuracy of our words and deeds ... and therefore, of our thoughts". It still dictates our lives today ... and moves us from a past we did not control, to a future that scares us. That little voice is called Ego. All Universal Wisdoms meet there. 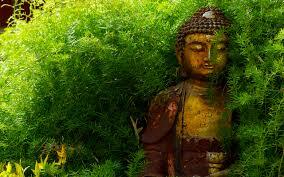 Buddha said: "Our thoughts are illusion. Do not be Identified to your mental positions. " All we have to do now, is to detach ourselves from the voice that dictates our emotions, our health and our actions. We can, in the Present, free ourselves from the ego and retrieve this initial wisdom that is still within us. Even camouflaged under many years, SHE remains there and has never lost hope that one day we would be ONE with her. This wisdom is common to all of us. This part connects us, one to the other. This energy is what is more beautiful and more powerful inside of us. SHE is the only source where we can draw what brings joy and simple, durable and stable happiness. This source binds us. SHE is Unity and brings us the correct answer. SHE reminds us why birdsongs fill us with happiness, why the laughter of children makes us melt, why hugging a cat warms us, why love fills us. Breathe deeply and feel this energy in you, a vibration that does not come from the physical form of your body called Danielle, Martin, Capucine ... but from inside you ---- this heat that teems, flows, and soothes. We can connect to her when outside elements jostle us and make us fear that we will capsize. This interior place IS the only answer. We call this space "The Presence." Just Present. Without that little voice. 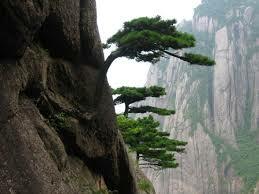 The TAO, Wisdom that goes back more than 2600 years, called HER "The None". this is "something" that you have to apprehend. This work can be started at any age, at any time.